Steve Lyons, a retired police officer who serves on the board of National Alliance of Mental Illness Tulsa, said his son, who suffers from paranoid schizophrenia, was treated poorly in the past in the Tulsa County Jail. The jail will soon open mental-health units. A common lament among Oklahoma sheriffs is that “jails have become the largest mental health provider in their entire county,” says Kris Steele, former state House speaker and an advocate for criminal justice reform. In that case, the day-to-day wards of that mental-health system are the county deputies and other staff who run the jails. County and city jails take in a wide range of the mentally ill, including those with drug and alcohol addiction, schizophrenia, bipolar depression and suicidal thoughts. But jailers often have little training in dealing with the mentally ill and distressed. They may resort to use of force when it isn’t needed or make other poor decisions that endanger lives, some experts and public officials say. “The problem is jails are not equipped or designed or funneled to provide adequate mental health care,” said Steele, who successfully championed two state questions designed to lower incarceration and direct the resulting savings to counties for mental health and substance abuse services. In general, there are two basic levels of mental-health training in most Oklahoma jails. Jailers who are commissioned peace officers, such as sheriff’s deputies assigned to jails, are required to take a basic two-hour mental-health class offered by the Council on Law Enforcement Education and Training. They also must take a two-hour refresher class each following year. Jailers who are not peace officers – often found in smaller towns – don’t have to take the CLEET or other training, either under state law or rules set by the Oklahoma State Department of Health. Individual jails may require training, however. Michelle Robinette, who oversees the Tulsa County Jail as chief deputy for the Sheriff’s Office, said the training for CLEET-certified officers is minimal. “It was pretty mundane, really not very informative. But it was necessary, so we used to take it,” she said. This year, the Tulsa jail will open special units for mentally ill inmates. The units’ jailers must complete 24-hour crisis intervention training course, she said. “We’ve taken the law enforcement model and tailored it to detention,” Robinette said. Although the state doesn’t require training for jailers who aren’t certified officers, the Health Department does require them to identify inmates who show signs or symptoms of mental illness or being suicidal. Some jails require their non-law enforcement jailers to be trained in dealing with people with mental health issues. Health Department records show that in 2016, 24 county and municipal jails provided mental health training to jailers. Three jails – Oklahoma County, Midwest City and Stephens County – have had employees undergo full crisis-intervention training, according to records from the state Department of Mental Health and Substance Abuse Services. Others, such as Cleveland County Jail, require jailers to undergo at least some mental health training, said Tania Woods, the department’s law enforcement liaison. “There are counties and cities that make it a priority,” Woods said. McCurtain County Jail, where a schizophrenic inmate, Corey Carter, died after a struggle with jailers last year, did not offer mental health training for jailers at the time and still does not offer it, Health Department records show. Smaller, rural jails often lack the resources and staffing to be able to offer specialized training for employees or units for mentally ill inmates. According to a 2015 report by Human Rights Watch, inmates with mental illness are far more likely than their peers to be charged with jail policy infractions. They also are more likely to be placed in solitary confinement or restraint chairs or subjected to use of forces, sometimes as a form of reprisal. The disproportionate use of force against mentally ill inmates arises out of inadequate training for staff – training that provides tools to identify such prisoners earlier and de-escalate situations that could end violently, the Human Rights Watch report says. “It keeps the person safe. It keeps the jailer safe,” Woods said. Robinette said that is a big reason detention officers in the Tulsa jail’s new mental-health pods will get customized training. “We run a good jail, but regardless of that, a lot of uses of force occur because there is not an understanding of what is going on at the time. Detention officers are trained to react to what they’re given,” Robinette said. The lack of training of jailers also can lead to poor decisions on grouping inmates in jails. 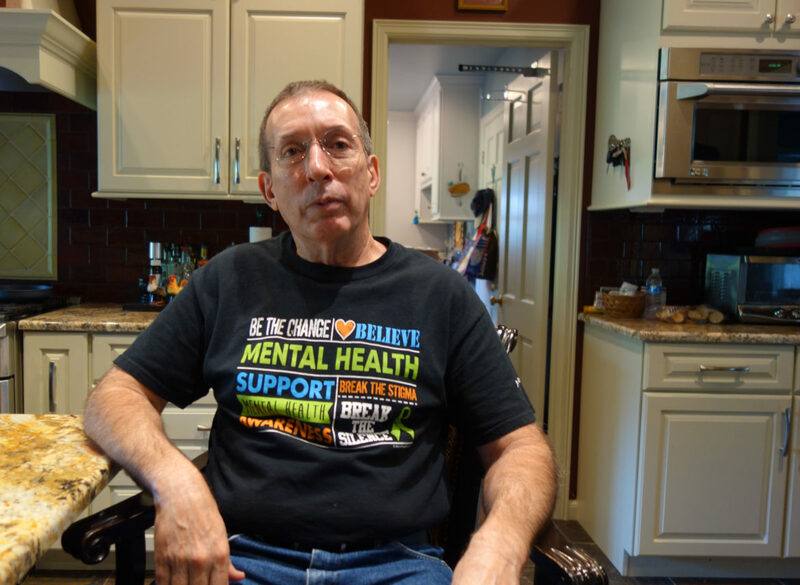 In some cases, putting a mentally ill inmate in a cell with the wrong person can lead to violence, said Steve Lyons, a retired Houston police officer who is on the board of National Alliance of Mental Illness Tulsa. Lyons’ son suffers from paranoid schizophrenia and has spent time in the Tulsa County Jail. Over the past five to 10 years, the number of inmates with mental illness in jails nationwide has increased by about 75 percent, according to a report this year from Public Citizen’s Health Research Group and the Treatment Advocacy Center.